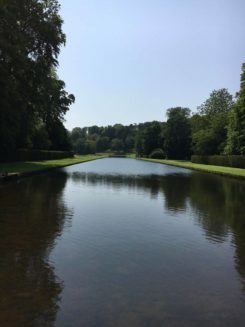 A few summers ago we spent a few weeks taking a road trip around northern England and visiting Fountains Abbey and Studley Royal was the last of the UNESCO World Heritage Sites we saw during that trip. 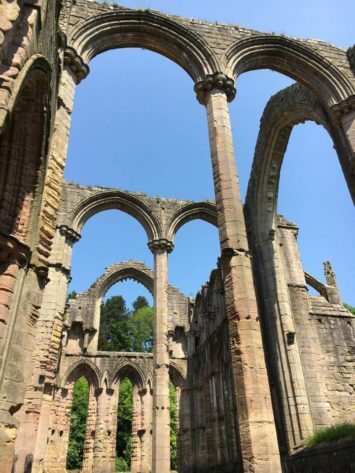 We were astounded at its beauty and I wondered why had I not heard of such a beautiful place which was only 1 1/2 hours drive from my home in the UK at that time. I really want to share its beauty it with you and hope it will inspire you to visit. If you already know of it, have visited, or stayed in properties on the site then TELL everyone you know. 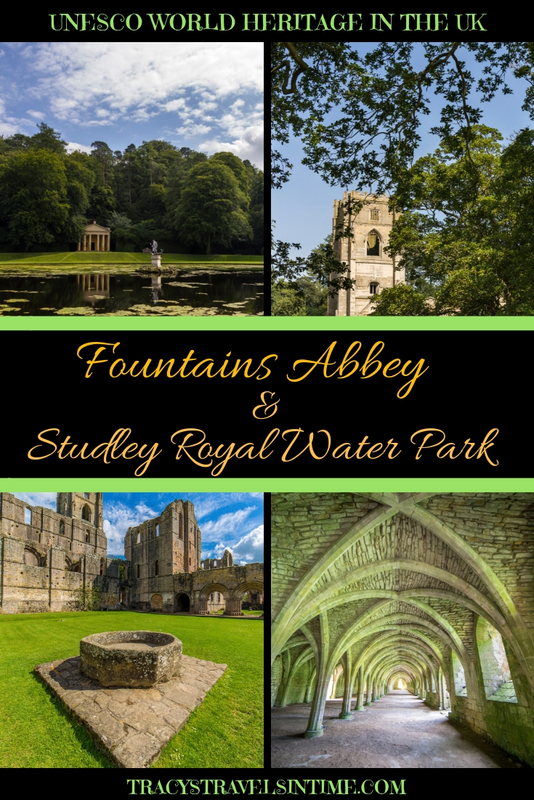 In my opinion Fountains Abbey and Studley Royal should be on everyone’s itinerary when they visit the UK! 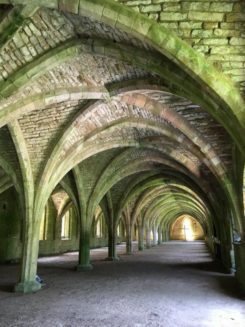 Fountains Abbey and Studley Royal are free to both National Trust and English Heritage members. 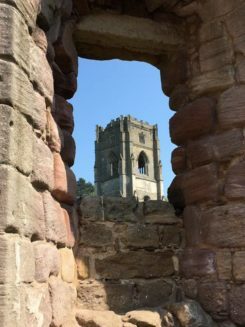 The National Trust works in partnership with English Heritage to care for it. 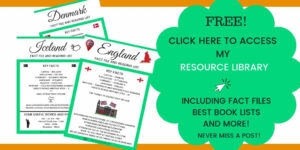 If you are not a National Trust or English Heritage member the fee is £16.50 for adults (with gift aid), £8.25 for children, £41.25 for a family (prices quoted from website Sept 2018). 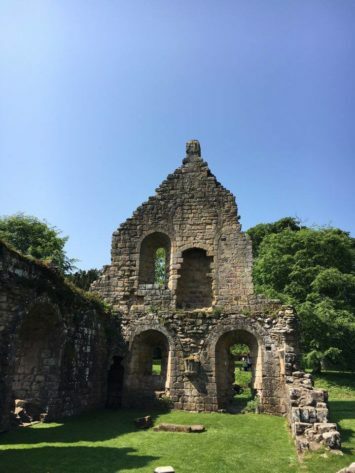 The site is accessible by road and is 12 miles north of Harrogate (postcode is HG4 3DY) by bus, by cycle and by foot (by footpaths and bridleways apparently for all those walkers out there). Parking is free and on the day we arrived was getting busy (it was a stunningly beautiful summer day). 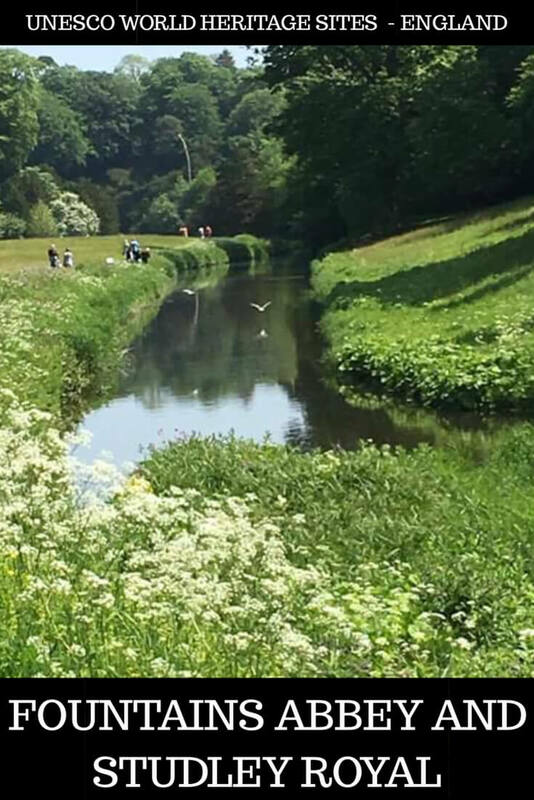 On the day we visited there were loads of events and activities organised so there is plenty to keep you busy! 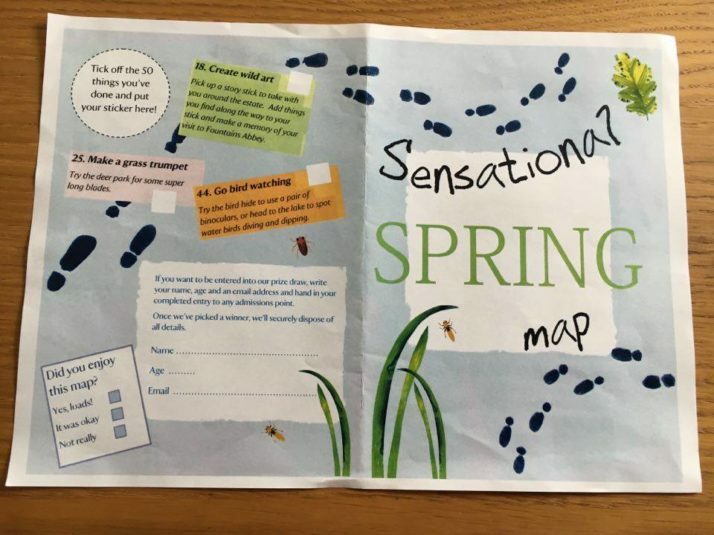 There was an activity sheet available for children the day we were there – I pinched one (see below) so lot to keep the kids occupied. Dogs are also allowed but must be kept on leads. 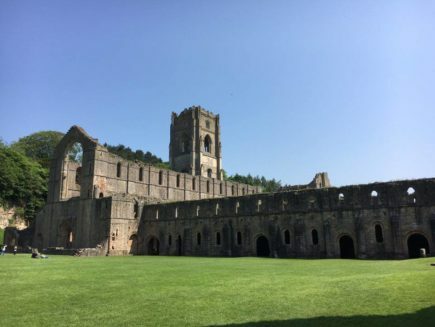 We decided to walk to the Abbey from the Visitor’s centre (there is also a recommended wheelchair route highlighted on the map you are given at the centre). This walk is about 1/2 mile. 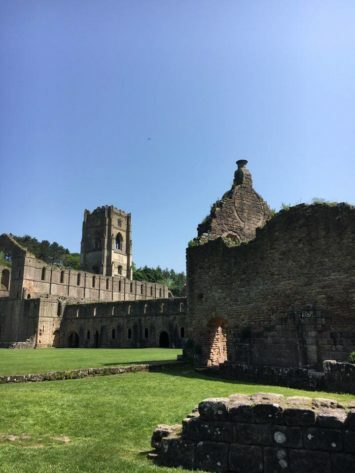 And when you get to the Abbey be prepared to be stunned….because they are quite simply breath-taking. Seriously. 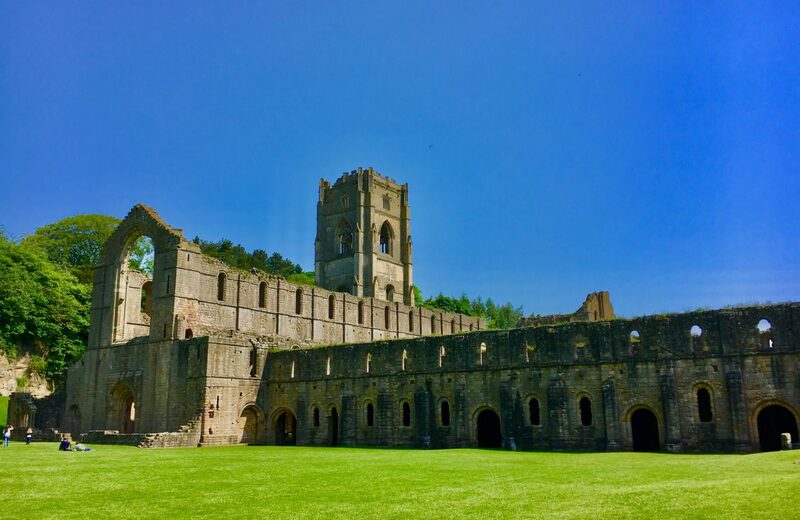 The abbey was founded in 1132 by 13 Benedictine monks – within 3 years the abbey had been admitted to the Cistercian Order. A system of lay brothers was introduced. 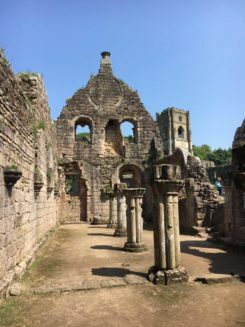 which left the monks to spend more time dedicated to God, but meant they accumulated huge wealth through the activities of the lay brothers (wool production, cattle rearing, stone quarrying amongst others). Source – see the NT website for more information. 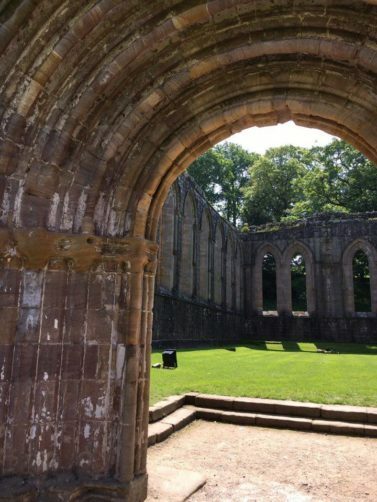 In 1539 -as part of the dissolution of the monasteries ordered by Henry VIII – the Abbey was closed down and the estate sold. The National Trust acquired the property in 1983. You can walk around the Porter’s lodge where there is an excellent display which illustrates the history of the Abbey. 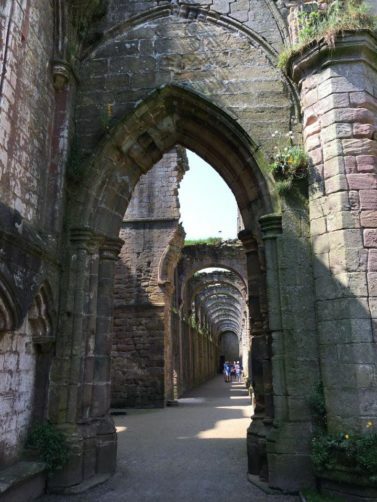 What is left is the remains of the abbey – I will let my photographs speak for themselves. Lots of people took blankets (picnics) and were sat on the grass enjoying the views and the sunshine. It is a peaceful place and I could quite easily have sat there all day. I did however get off my bum and walk around the ruins themselves camera phone clutched in my hand! 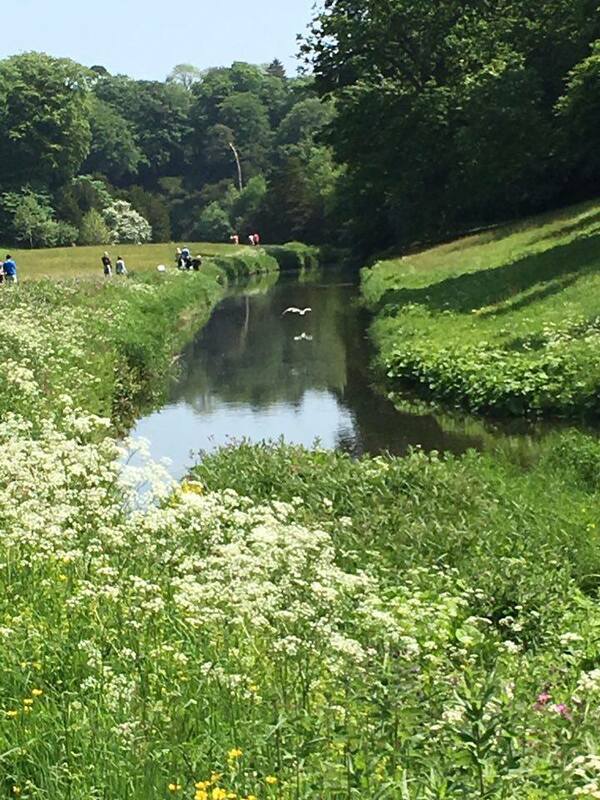 So after marvelling at all that you then get to walk along the lakeside and enjoy Studley Royal!! 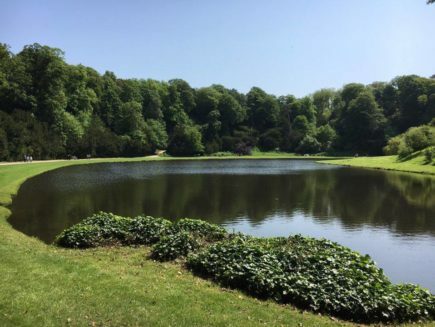 After walking through the park we stopped off for a rest break at Lakeside (café and ice creams – make sure you have cash as they don’t accept cards). 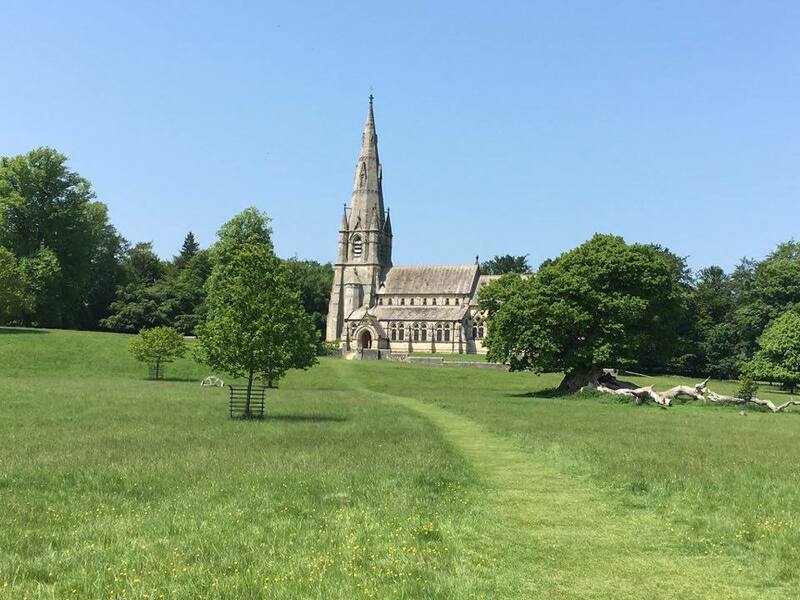 We then continued our walk through the deer park (we didn’t see any) and passed St Mary’s Church and walked back to the car park via a path that also leads to the Visitor’s Centre. 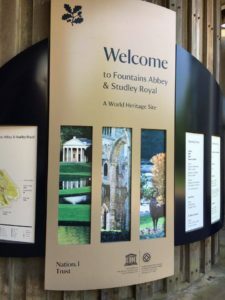 We had a wonderful day out and I am keen to hear if you have been to Fountains Abbey and Studley Royal or if you plan to go? Let me know what you thought! 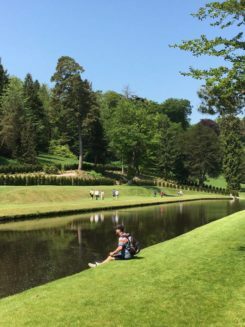 I am sure you will love it – especially if the weather is perfect as it was when we visited! Isn’t it funny how we can travel around the world, and yet so often miss the amazing sights that are right at our doorstep (or at least a drive away)? 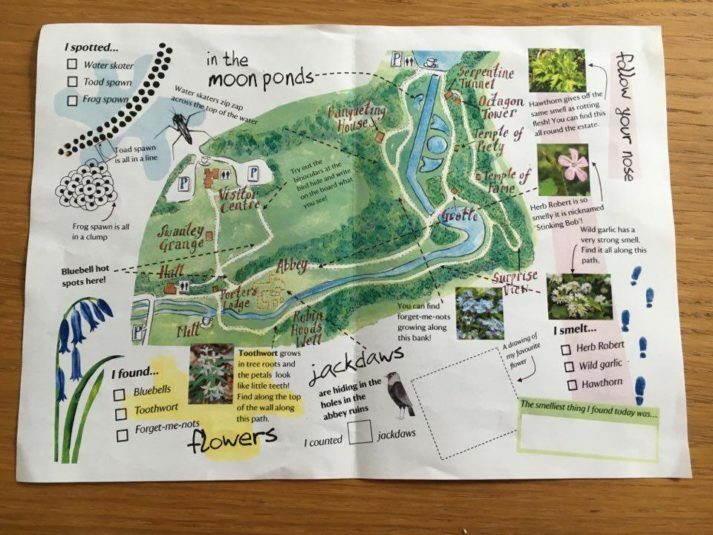 Absolutely Jane – it is so close yet I had never heard of it! 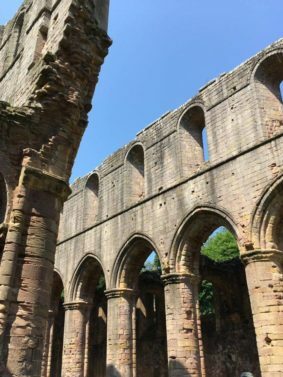 Thanks Angie – I was completely blown away by Fountains Abbey it was stunning! I am so pleased we found it – if I hadn’t done the UNESCO challenge last year I would have had no idea about it! Such a beautiful place and yet another that I haven’t heard of in the UK! 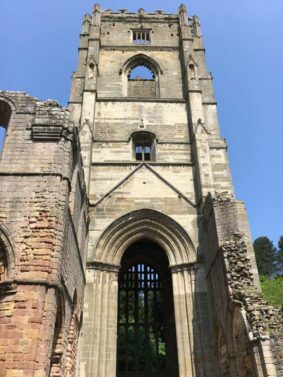 Love the green spaces, the ruins and the church you passed – definitely combines loads of cool things in one! So awesome that you got the opportunity to visit and share with us! It is beautiful I hope you get the chance to visit! Wow, this place looks absolutely stunning! Will definitely add this to the bucket list! 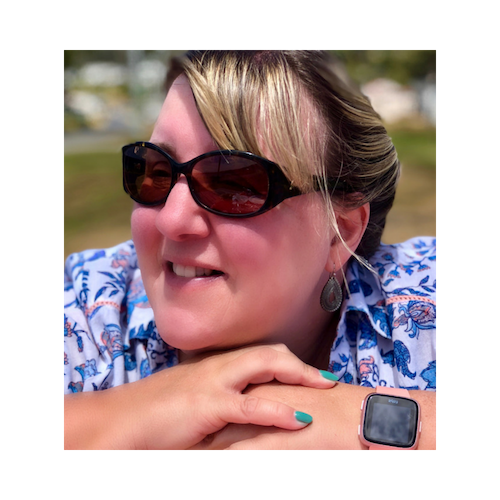 It is fabulous – my favourite so far! You are right, Tracy! Absolutely stunning and how lucky you had good weather! I must say I almost forgot how in England every place charges an outrageous entry fee haha! I take you have the pass with how many UNESCO sites you have visited? 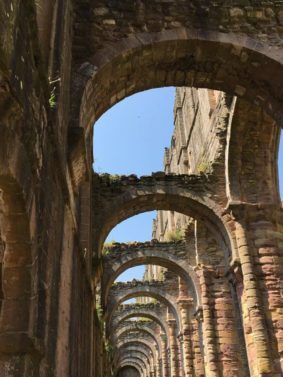 The photography is stunning, love the architecture of the abbey! Thanks for bringing yet another beautiful place to us! It is a gorgeous place! We will go again if we get a day like that in the next few months! Thank-you 🙂 It is a beautiful place! That’s such a beautiful place and you’re so lucky to have this right at your doorstep! 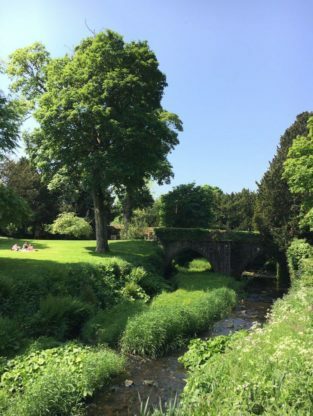 It looks very idyllic and peaceful – I would love to go there when I’m back in the UK. Thanks for sharing! How fortunate to have this beauty on your doorstep. 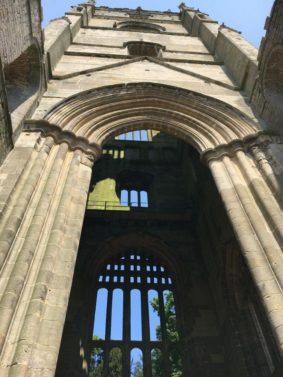 The abbey reminds me of Pillars of the Earth by Ken Follett and the work that goes into those stunning buildings. 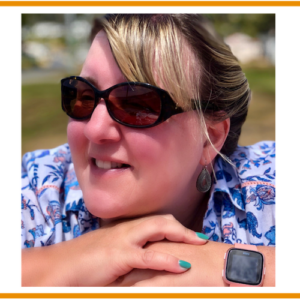 Great post, Tracy! I love visiting places around my hometown! Your pictures are gorgeous. I can definitely picture taking a blanket and having a picnic! 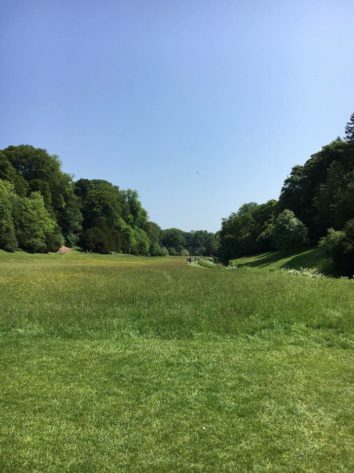 I want to go again – just need the perfect weather and we will be back! 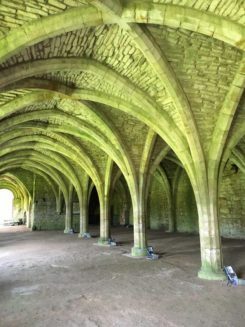 I’m from Northern England and it’s amazing how I have never heard of Fountains Abbey / Studley Royal UNESCO site either. There is so much to see and do close to home. 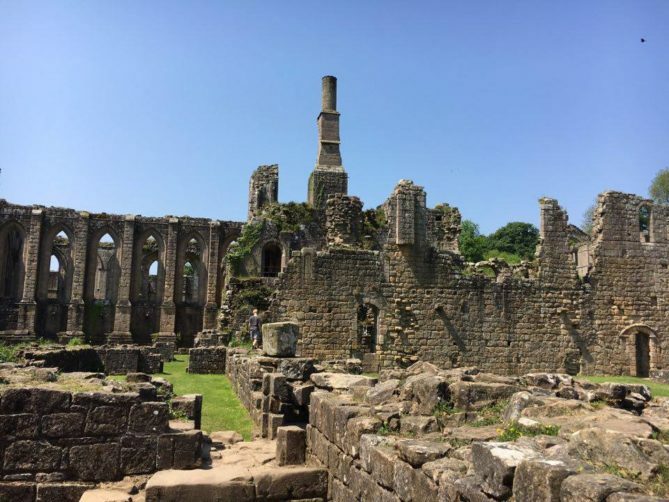 Your pictures of the Abbey are stunning, I really appreciate the blue skies and greenery of northern England! 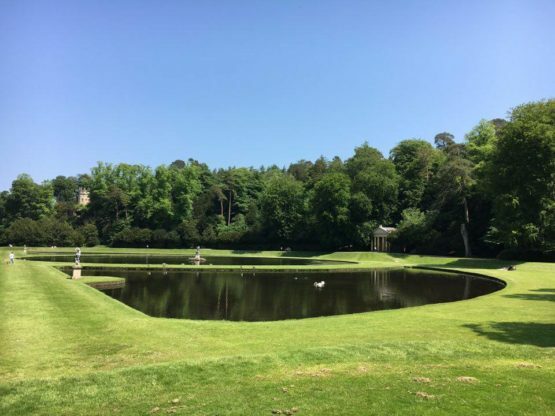 Again with your photos of the Studley Royal Water Park, beautiful greenery, blue skies and reflection in the still water, so beautiful. I was thinking it looks a little warm for chocolate but perfect to enjoy an ice cream before reading you did stop for an ice cream! It was the most perfect day and we were so lucky! 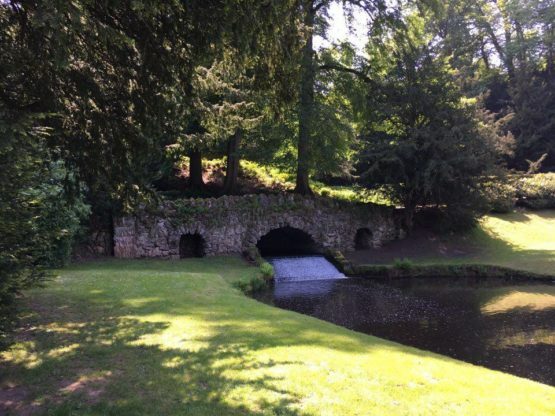 Definitely visit next time you are in Yorkshire! It is really worth a visit! 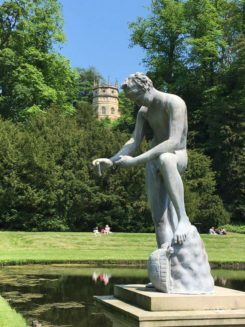 thanks for another great post – we have never been there or in fact heard of this place. 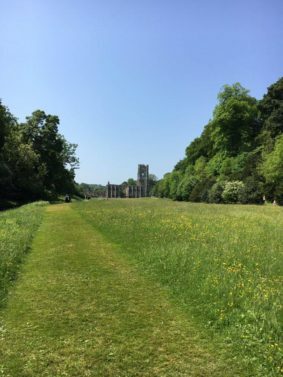 Agree that normally we plan of feel the need to travel into the distance to find great places to blog about but the local places we take for granted will be loved by the rest of the world. 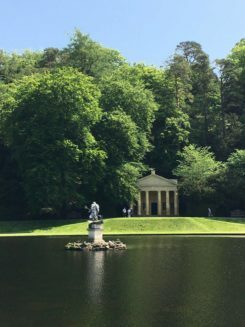 I hadn’t heard of it until I started the UNESCO challenge and I am so glad i did – this place is just fabulous and deserves to be more well known…or maybe not lol!